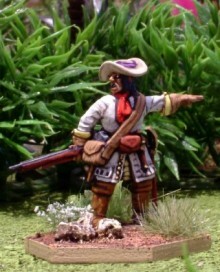 This colourful fellow is from my Spanish infantry unit number 2. The model is the dismounted sergeant from the new Dismounted Dragoons Command set. To be released very shortly.